HomeEthereumWhat Is Ethereum’s “Difficulty Bomb”? What Is Ethereum’s “Difficulty Bomb”? Ethereum’s “Difficulty Bomb” refers to the increasing difficulty level of puzzles in the mining algorithm used to reward miners with ether on its blockchain. As the puzzles become more complex (and miners find it more difficult to earn ether), there will be a substantial lag between production of blocks on ethereum’s blockchain. This will slow it down in exponential terms and its economics will become less attractive to miners. The onset of this scenario is referred to as “Ethereum’s Ice Age”. During this time, ethereum will transition from Proof of Work (PoW), which requires miners to earn ether by competing against each other to solve puzzles and earn rewards, to Proof of Stake (PoS), where rewards are distributed on the basis of staking or coin ownership. The switch between protocols will occur later this year as part of the Casper update on ethereum. The difficulty bomb will prevent forking of ethereum’s blockchain during that time. Why Was The Difficulty Bomb Introduced? Ethereum’s difficulty bomb is a deterrent for miners, who may opt to continue with PoW even after the blockchain transitions to PoS. Their primary reason for doing so may be the shift in balance of power and profits away from miners into the hands of investors and users of the blockchain. If all miners do not make the switch to Proof of Stake, then there is the danger that ethereum’s blockchain might fork. A similar situation occurred in 2017, when bitcoin miners forced a fork in its blockchain by throwing their weight behind bitcoin cash. (See also: Bitcoin Vs. Bitcoin Cash: What’s The Difference?) 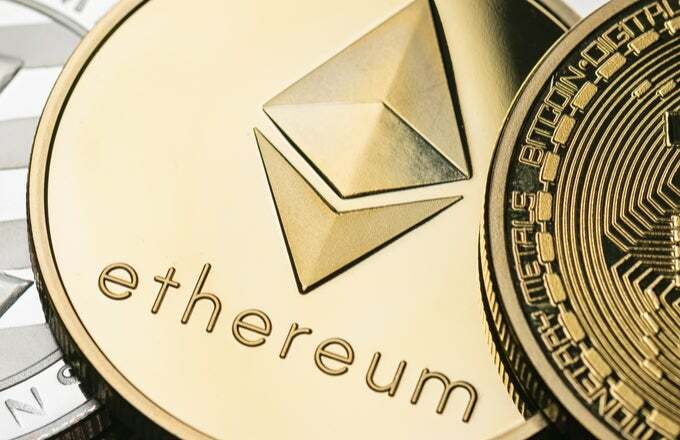 Ethereum’s founders, however, foresaw such an eventuality and programmed its blockchain to incorporate increases in difficulty levels for its mining algorithm. Difficulty levels on ethereum’s blockchain began increasing in November 2016, from block 200,000 onwards. “At that point (just around the release of the Serenity milestone), we’ll see a significant increase in difficulty, which will start pushing block resolution time upwards,” stated Stephen Tual, Ethereum’s chief commercial officer in an August 2015 blogpost. Serenity is ethereum’s final stage of evolution following Metropolis, its current stage which commenced in October of last year. (See also: Ethereum Reveals That Metropolis Hard Fork Will Occur In September). A hard date has not been fixed for Serenity’s release. An initial timeline suggested that a slowdown on ethereum’s blockchain would occur in as less as a month. However, subsequent delays in releases for ethereum’s code have postponed the final release date further. This has also delayed ethereum’s switch from PoW to PoS. According to an earlier estimate by Ethereum co-founder Vitalik Buterin, the “final doom” in terms of significant delays between blocks will occur in 2021.